Awesome Freebies on Your Birthday! Everyone’s got a birthday, and everyone deserves that day to be special! We do our best to make sure that you can take the most advantage of this day by finding and publishing the very best FREE birthday offers around! Whether it’s a free burger at Red Robin or a beverage at Starbucks, you won’t want to miss out on the offers we publish here daily! Get a FREE L’Occitane Gift During Your Birthday Month – You need to register for their newsletter, if you are already a member you just need to add your Birthday to your account. Also throughout the year L’Occitane offers exclusive coupons, deals and more. Get a FREE Doughnut and Beverage at Krispy Kreme for Your Birthday – Simply sign up for their newsletter. You’ll then receive an email one week before your birthday and the coupon is valid for 2 weeks! Get a FREE Burger During Your Birthday Month at Red Robin when you sign up. Also when you sign up you’ll receive special offers and great deals throughout the year! 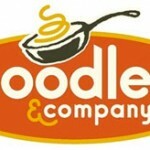 FREE Bowl at Noodles & Company on Your Birthday – You’ll need to sign up for their e-club to get it. FREE Drink at Starbucks on Your Birthday – When you join the rewards program you can earn rewards, like free drinks and food!